Quick summary: In this activity students work in groups to create a short documentary or film about climate change, in particular its impacts, risks and the personal actions that can be taken to fight climate change. Students present their videos to the class. 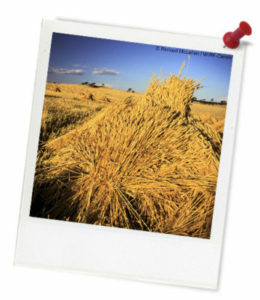 This lesson meets selected Australian Curriculum outcomes for Years 5 and 6 in the subjects of English and Geography. This activity has been created in partnership with WWF-Australia. 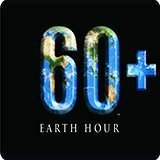 Earth Hour is the world’s largest community-driven climate change campaign. At the centre of Earth Hour is switching off lights to show a commitment to taking action. Thousands of teachers use Earth Hour’s education program to enrich their curriculum and provide pathways for young people to create change in their world. Students understand that there are a range of risks and impacts associated with climate change. Students recognise that there are many different personal actions that we can all take to help fight climate change. Students understand that video can be a useful tool for communicating positive messages about climate change. Cross-curriculum priority: Sustainability OI.1, OI.6. Time needed: 2 to 3 sessions. Key words: Climate change, Earth Hour, personal actions, film, documentary. Hot tips: This activity can be extended over several sessions. In addition, you could consider holding a screening for other students or parents. Thought starter - How can we communicate stories and messages around climate change? Your task is to create a short film or documentary about climate change, it's risks and impacts, and what we can all do to fight climate change. Similar to the clip shown here. You can decide whether you want to do a short film or a documentary, and you will write your own storyline or plot. If you need some ideas, we've thought up a few scenarios to help spark your imagination. A day in the life: This documentary describes all the actions of one student over the course of one day and how these actions relate to food and climate change. For example: what you eat, where it comes from, what resources are involved in making, shipping, storing, packaging and preparing these foods. A narrator can describe these behaviours and the impacts.